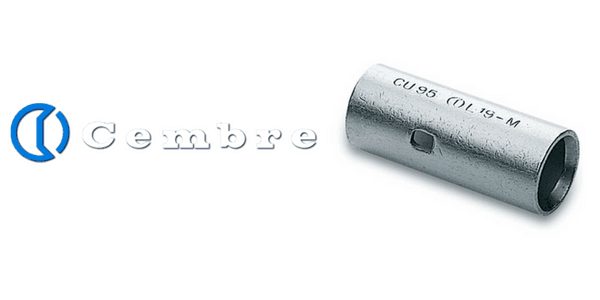 Cembre L-M range of cable crimp connectors are designed for jointing low voltage conductors and are made of electrolytic copper tube having the same dimension as Cembre A-M series cable lugs. L-M Cembre cable splices are annealed and electrolytically tin plated with an internal taper at both ends to ease the introduction of the cable conductor and a central stop to ensure correct positioning. 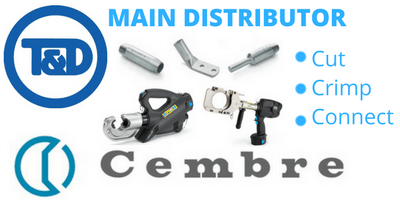 Cembre connectors are annealed to guarantee optimum ductility which is a necessity for electrical connectors which will have to withstand the severe deformation arising when compressed and any bending of the palm during installation. 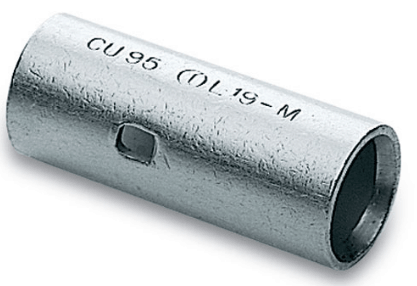 L-M connectors are manufactured from electrolytic copper tube Cu-OF CW008A, conform to UNI EN 13600:2003 and are tin plated with a minimum thickness of 3pm to avoid oxidation. The cable crimp connectors comply with IEC 61238-1 and according to UL 486A standard (file EI25401). IEC 61238-1 Standard – Compression & Mechanical Crimp Connectors For Power Cables up to 30kV (Um = 36 kV).